Got bored with your music collection ? No worry .. there are quite a lot of internet radio station out there, just like shoutcast, pandora, grooveshark, google music, and many more with tons of selections of amazing artist, genre and songs. 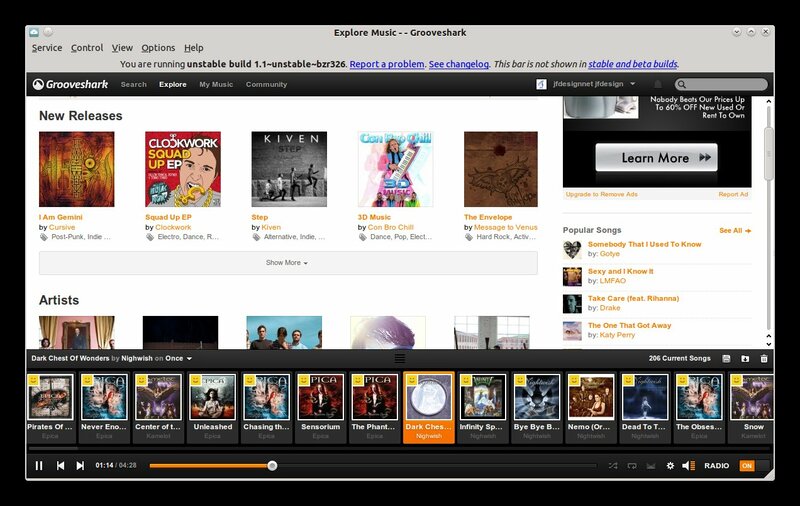 Just recently I’ve been using nuvolaplayer on my ubuntu system to listen to my favorite radio station Grooveshark and Pandora. and I like it a lot. Nuvolaplayer (previously Google Music Frame) is a music player especially designed for cloud music. Even though it’s only a “frame”, it’s a great application that comes with features such as integrated ubuntu Sound Menu (mpris2 – also works with some GNOME Shell extensions, kde, and of course Unity) support, notifications, multimedia keys, Unity quicklists and many extra features thanks to user scripts (like last.fm scrobbling for Grooveshark, etc). 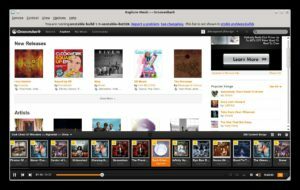 NuvolaPlayer got Grooveshark, Hype Machine and 8tracks support recently (in addition to Google Music) and for you who using ubuntu you can get it from their ppa launchpad page. I’m getting the source tarball from ubuntu system using apt-get source nuvolaplayer, and here on this example i’m using the unstable branch. The direct link to the unstable package source is here. Copy the nuvolaplayer-1.1-unstable-0ubuntu0-bzr339-43-oneiric1ubuntu1.tar.gz from above step and copy it to some folder. The binary build nuvolaplayer and nuvolaplayer-client is at build folder.